The NFL isn’t a league filled with patient people. Fail at your job? There’s someone waiting to take it. DeMarco Murray has been a disappointment so far. 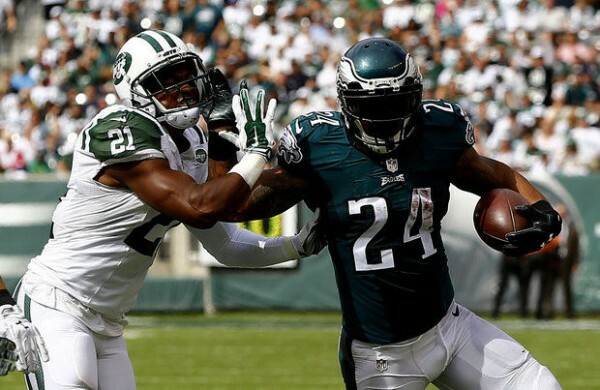 The Philadelphia Eagles might be better off giving Ryan Mathews the starting running back job for now. Murray didn’t play in the Eagles’ 24-17 win over the New York Jets. Mathews did, and while his numbers weren’t mind blowingly awesome, he did put up over 100 rushing yards (because the Eagles could afford to kill the clock) and scored a touchdown off a reception, something Murray has done as well, but doesn’t have an advantage in compared to Mathews. Right now, it might be all about the style of the two backs and their fit in the Eagles offense. Mathews is used to playing behind an offensive line that doesn’t generate him huge acres of space. He can do with small gaps to burst through and take advantage of. No one is saying Murray can’t do that, but right now, the quicker recognitions of holes needed from him in the Eagles offense compared to what he had in Dallas is obviously making him look bad. As in 21 carries, 11 yards bad. The Washington Redskins are a team worth experimenting against, which means giving Mathews the starting spot or eating away at Murray’s carries, if he’s healthy enough to play. Murray might be the more expensive running back but currently, in the Eagles offense that’s still figuring itself out with too many new components, he’s not the superior one.